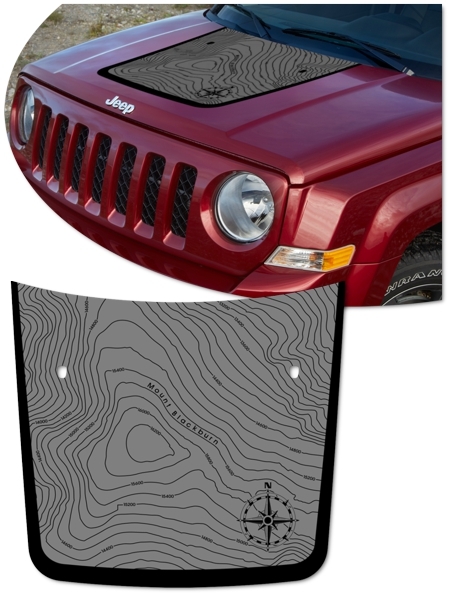 Make your '07-'17 Jeep Patriot's Hood stand out with this great-looking Blackburn1 Edition topographical Hood Graphic kit. Kit is specifically made for the '07-'17 Jeep Patriot factory Hood and will not fit any other vehicle. 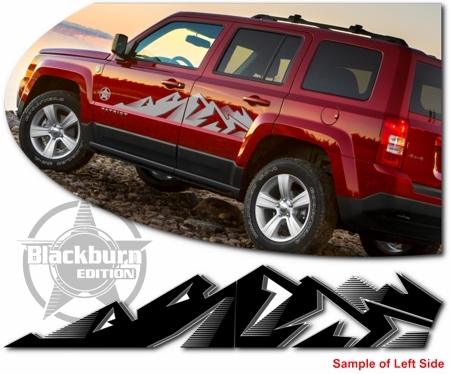 Graphic kit is vehicle specific and will fit any '07-'17 Jeep Patriot. They will not fit any other vehicle.